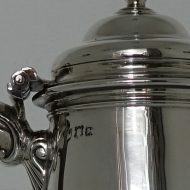 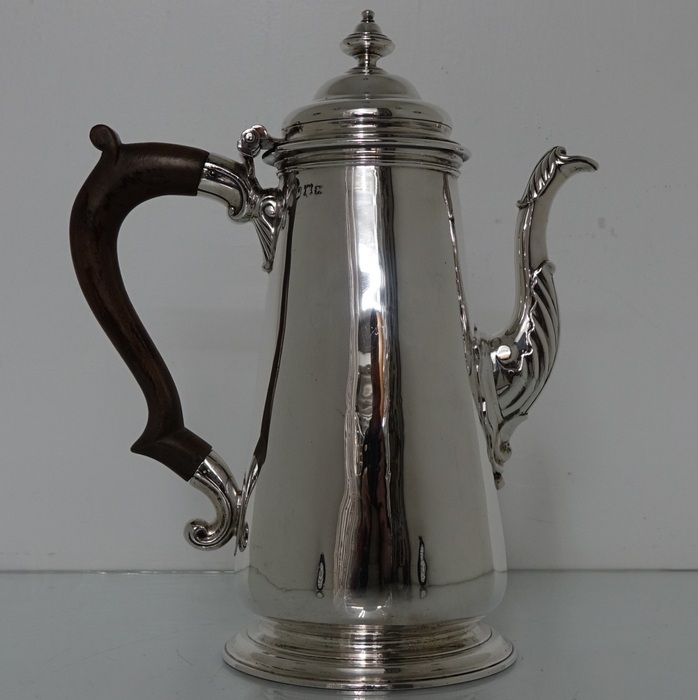 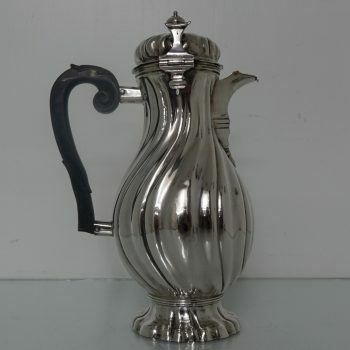 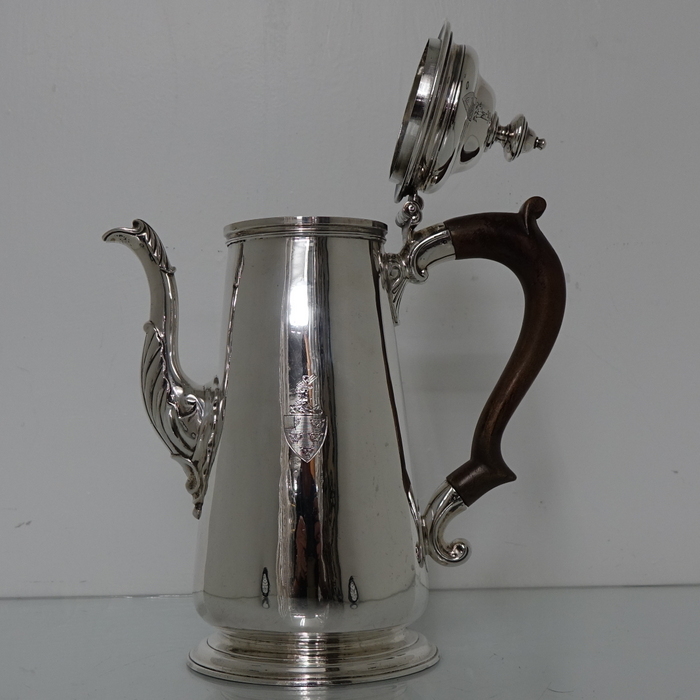 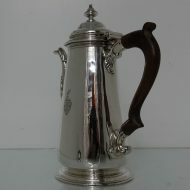 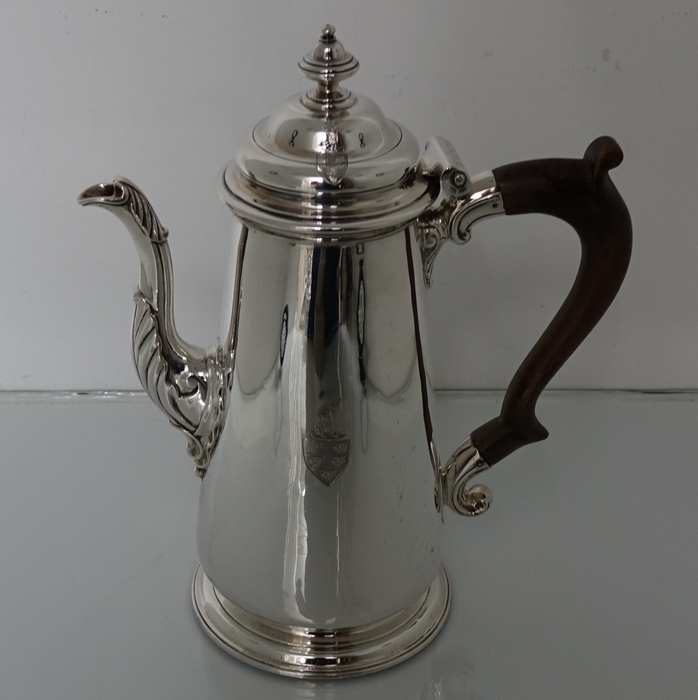 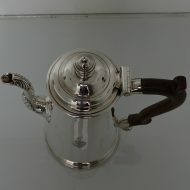 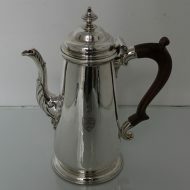 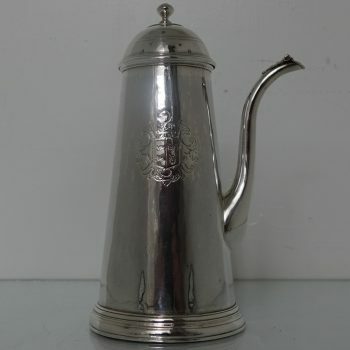 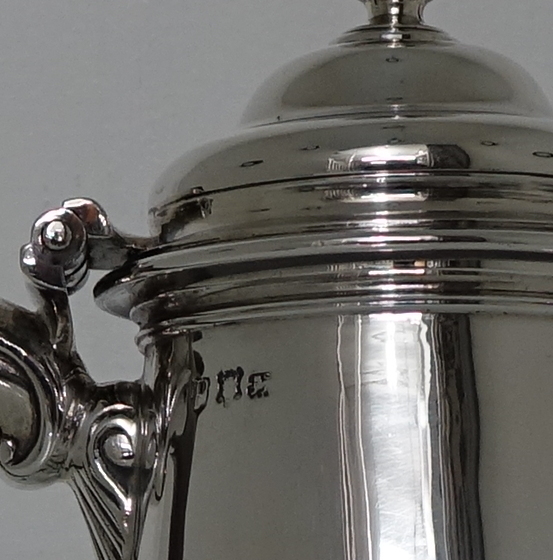 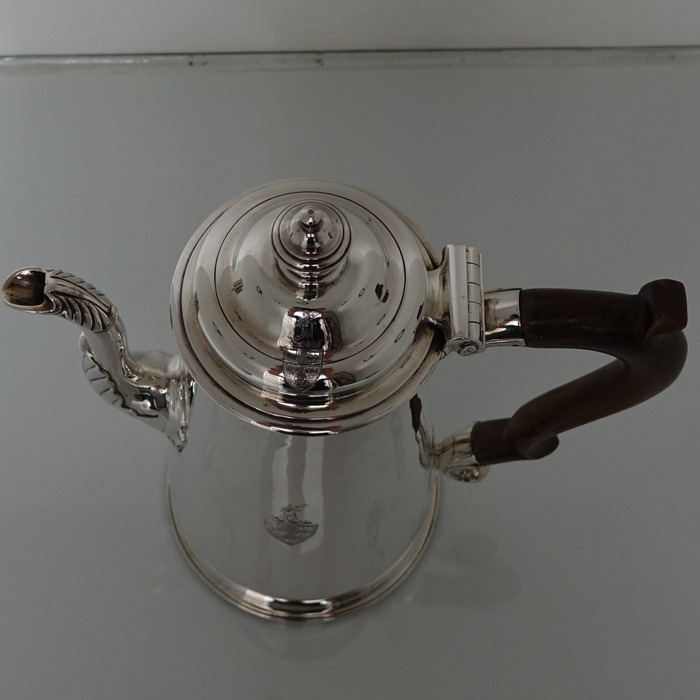 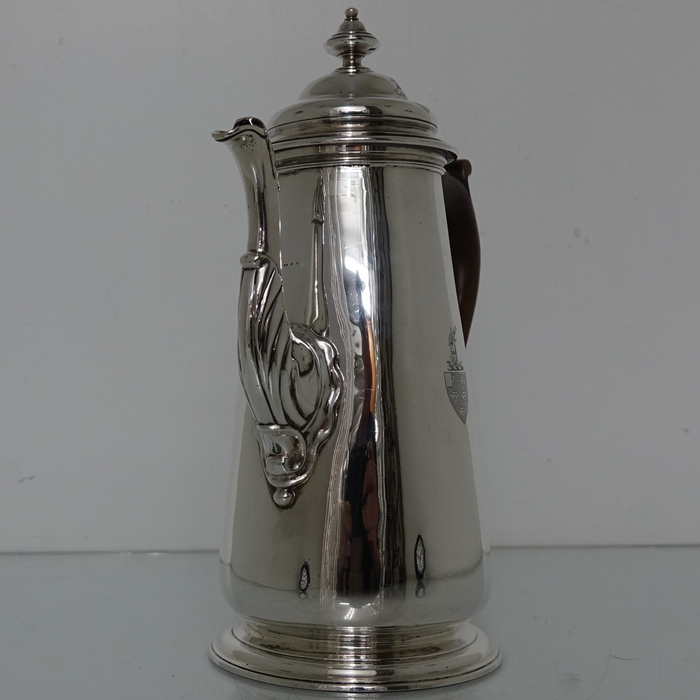 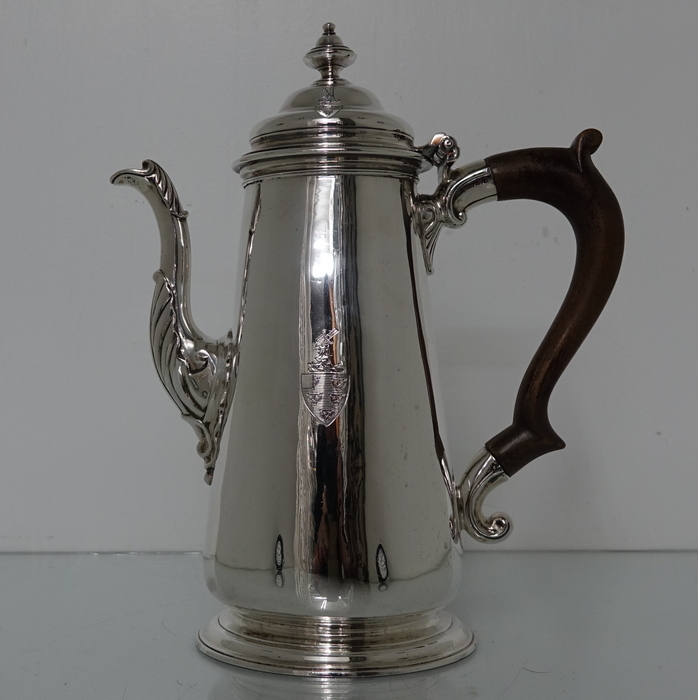 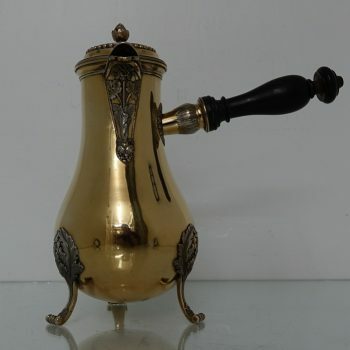 A very fine and good sized George II coffee pot with a elegant plain formed tapering body. 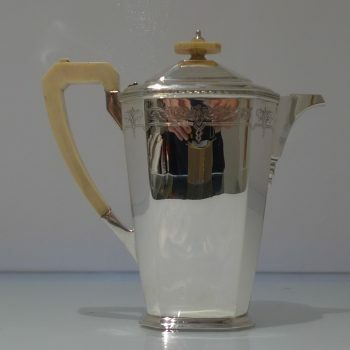 A very fine and good sized George II coffee pot with a elegant plain formed tapering body, ornate acanthus decorated style spout and scroll fruit wood handle. 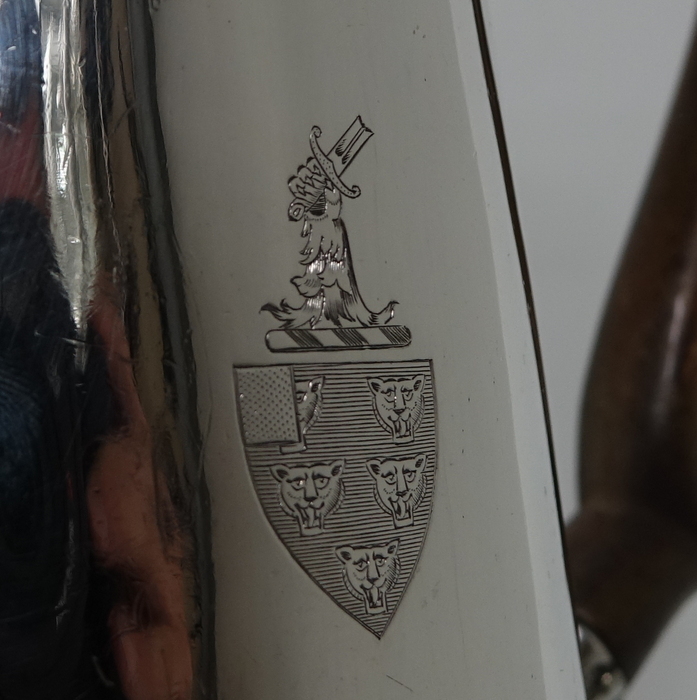 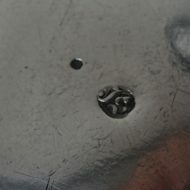 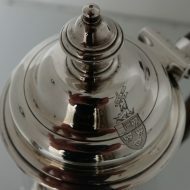 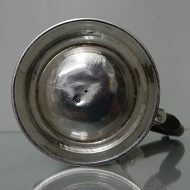 The lid of the pot is hinged and both body and lid has a contemporary coat of arms for importance. 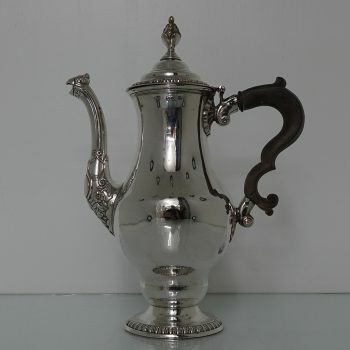 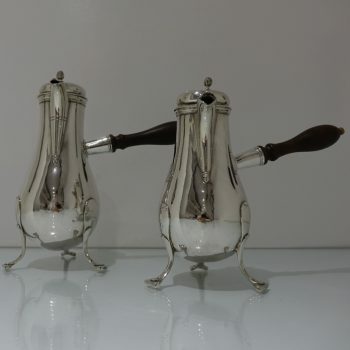 Rare 18th Century Antique Silver German Coffee Pot Augsburg 1757/59 CG?